Good on you! But now, Halloween approaches and you’re finding yourself at a crossroads: pick a binding costume that betrays your promise or skip out on the holiday altogether. But we have a solution for you; a costume that proudly displays your inner wisdom and daring integrity, your charisma and commitment to comfort above all else. 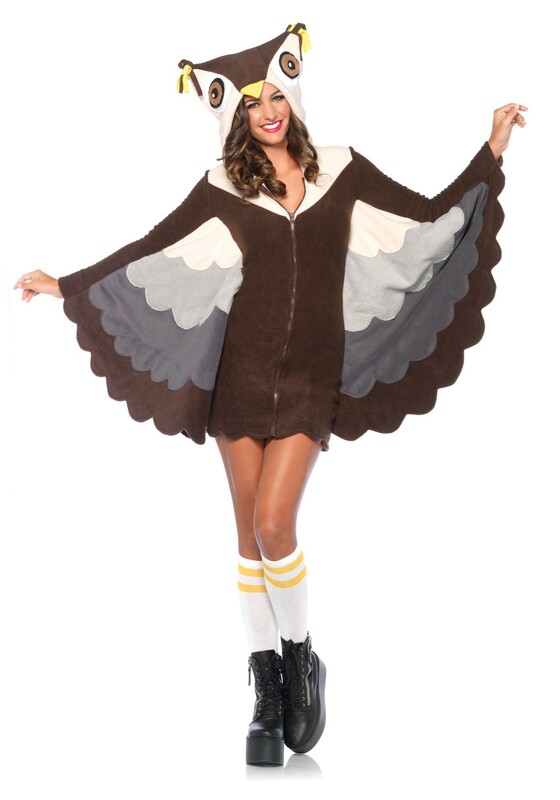 This Cozy Owl Costume brings together the best of both worlds--Halloween whimsy and your self-confident style. By wearing this winged getup, you open yourself to a whole new world of forest friends. Plus, an owl is a great choice for going out into the night; you can always use some extra keen senses! Everyone in the woods respects the wise old owl, so we're sure that you will fancy will the reputation that precedes your entry to the party in this long sleeved dress and hood. Plus, this little number is so cozy, you may even want to wear it around the house! Hoot and holler, girly, because you don’t have to betray your promise to yourself to partake in the Halloween festivities. Doesn’t that feel as good as flying high over the treetops?